Six-time GRAMMY Award-winner, Golden Globe Award-winner, and Academy Award-nominated superstar entertainer Lady Gaga now has an exclusive residency at Park Theater at the new Park MGM resort. 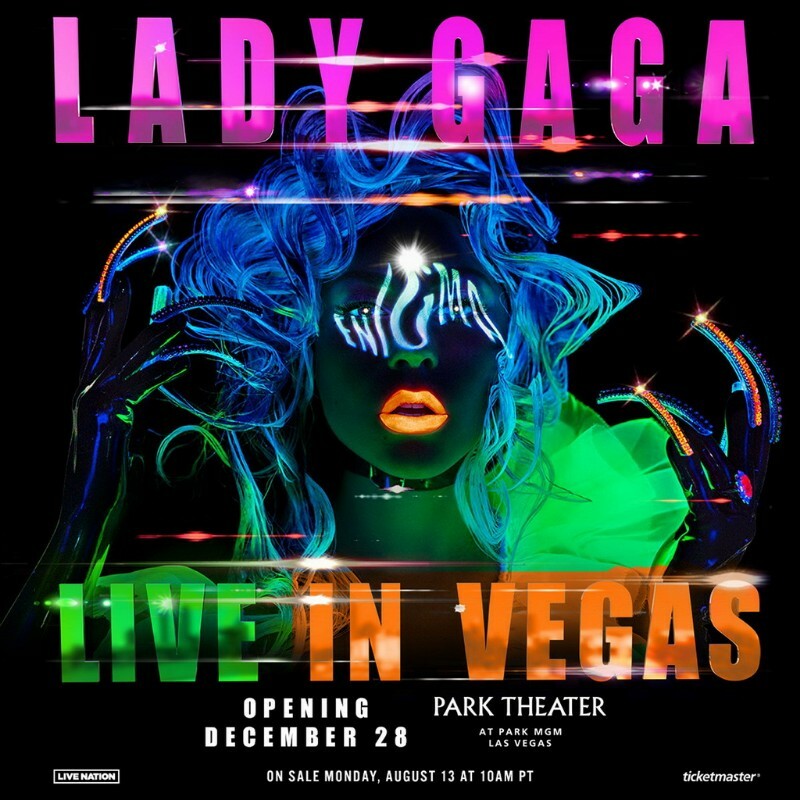 Citi is proud to join Lady Gaga and Park MGM as the official credit card of this residency, presented in partnership by Live Nation and MGM Resorts International. Tickets starting at $77.90 (not including applicable service charges or fees) go on sale Monday, Aug. 13 at 10 a.m. PT. A limited number of VIP packages including meet and greets also will be available. Lady Gaga has amassed an extraordinary 31 million global album sales and 171 million single sales, making her one of the best-selling musicians of all-time. Gaga is one of the biggest living forces in social media with more than 59 million likes on Facebook, over 76 million followers on Twitter and more than 28 million followers on Instagram. Her fifth studio album, Joanne, was released in October 2016 and debuted at No. 1 on the Billboard Top 200, marking her fourth consecutive No. 1 album – the first female to do so in the last seven years. Lady Gaga has also seen incredible touring success with Live Nation producing and promoting all of her tours since The Monster Ball tour (2009-2011), which was the highest-grossing tour for a debut artist in history. Since then, she’s also entertained fans with her Born This Way Ball tour (2012-2013); the 2014 ArtRave: The ARTPOP Ball tour; her 2015 tour collaboration with Tony Bennett; as well as her most recent JOANNE WORLD TOUR which wrapped earlier this year. Park Theater is the entertainment centerpiece of Park MGM, a partnership between MGM Resorts International and New York-based Sydell Group which features two distinct hotel experiences including a Las Vegas version of Sydell’s widely acclaimed NoMad Hotel. The 5,200-seat Park Theater, with its cutting-edge audio and visual technology, provides artists of diverse talents with a dynamic space to create one-of-a-kind productions where every seat allows guests to feel up close and personal. From comedy shows and live concerts to sporting events and award shows, the theater is specially designed to transform seamlessly for any occasion.